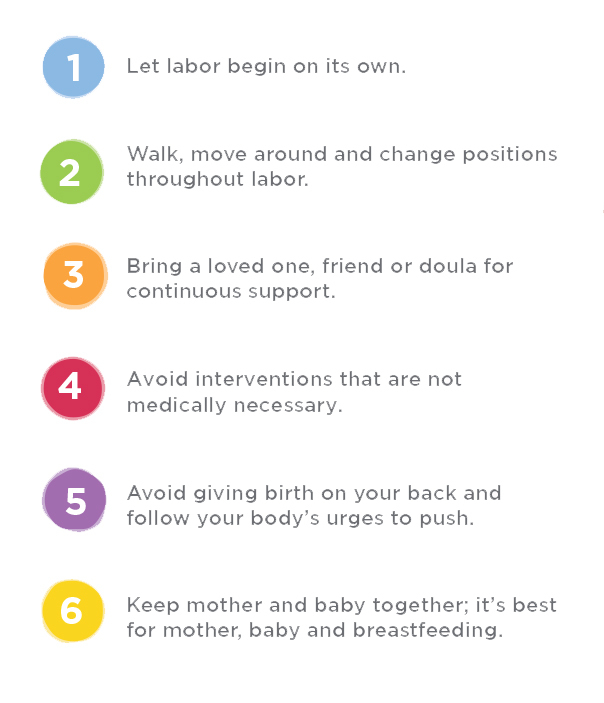 The Lamaze Six Healthy Birth Practices are the evidence-based foundation of our education. They are adapted from the World Health Organization recommendations to promote, protect and support safe and healthy birth, and align well with the positions published by the American College of Obstetricians and Gynecologists (ACOG), American College of Nurse Midwives (ACNM). Find local and online classes, and share other resources with your patients.